“Yes” to life after death, eternal life, life everlasting. “Yes” to this “life after death” as a reward, a reunion, a resurrection. “Yes” to life after death being a conscious existence, a shared experience, a collective encounter. “Yes” to life after death being a continuation of, a connection to, and a comfort for those who remain in this life we’ve lived together. What happens to us after we die? “Yes” happens. I know that’s not the answer you want to hear. You want, we want, more concrete images and certainties. But “yes” is the most honest answer I can offer … “so far.” I know some of you left after worship last week feeling you’re still no closer to answering that question than you when you arrived before worship. I suggest very pastorally then, that you’re not really trying. Faith is also an intellectual search for Truth, but its not science. We, you, will have to “think” differently if we’re going to engage the real uncertainties of our faith. Take what the church has taught you “so far” and think further. But we won’t figure things out with our head in our endeavors. We’ll figure things out with our heart. And we’ll insist that what we discover is Truth in every way the same as two plus two equals four, or the sum of the square of the two sides of an isosceles triangle is equal to the length of the hypotenuse squared, or that E=MC2. It is Truth … for us. For us … We must not “think of ourselves more highly than we ought to think” Romans 12:3. But neither will we remain unconvinced because Pythagorean or Einstein didn’t prove our conclusions with their calculations. Think further. What happens to us after we die? Yes. To put all this more concretely for us: Why me? Why my child, my mother, my father, my husband, my wife, my friend? Why them and not me? Why all those other people around the world, whom God loves just as much as God loves us? Why them and not us? So last week, I think, was where it all “ends” for us as Christians, as a Christian community. And where it all begins again, to be sure. But this week, I think, is where it all begins … to begin with. Everything we say about God the Creator, God the Provider, and God the Sustainer sounds very nice – for Children in Sunday School; for preachers and theologians who seek to comfort and confirm their congregations or their classrooms; to people gathering to sing or standing up to confess their faith in quiet sanctuaries with opaque and stained glass windows they can’t see through to see what life in the world is really like (166). There’s a place and a time for all those things, don’t get me wrong. We need comfort and confirmation. But at the end of our brief hour together on Sunday morning, we walk through those doors into the world again. That world, our world, is a world plagued by cancer, the torments of mental illness, battered women and children, bloody wars, millions of homeless and starving people, suffering and injustice of all kinds … everywhere. How can we talk about a powerful God of love and justice at work in such a world? Given the kind of world we live in, and the things that have happened to most (if not all) of us in our own lives, shouldn’t we conclude that if there is a God at all, that God must be either loving and just but not powerful enough to do anything about it? Or powerful but not loving and just enough to do anything about it? A God who is either willing to prevent evil, but just not able, or able but not willing (166). Shouldn’t those be our alternatives, if we believe in God at all? These questions, of course, are not new. Listen for the Word of God from the Gospel of Luke, chapter 13. The Word of the Lord. Thanks be to God. As curious and concerned as we may be to know more about these two tragedies, we can’t know much more. This passage, this story, has no parallel in the other Gospels. We can assume that the victims of Pilate’s brutality, while Galileans, were most likely killed in Jerusalem, since they were offering sacrifice and the only legitimate place for sacrificial worship was the temple in Jerusalem. And archeology has shown that the city wall of Jerusalem in Jesus’ day did take a turn just above the pool of Siloam, and it’s probable that there was a tower at such a critical point in the wall. But we have no other reference to these events in any other literature, biblical or otherwise. But we have enough in these verses for our concern this morning. And enough is shared to prompt the two statements of Jesus. It is surely not coincidental that these two incidents affected both Galileans and Jerusalemites and that the one is an act of human evil and the other what we term natural evil. Luke is as inclusive in his account, and Jesus is as inclusive in his response as the problem is universal: Were the Galileans who were killed worse sinners than others? “No,” he tells them. Were the Jerusalemites who were killed worse offenders than others like them? “No,” he tells them again. So, why did these tragedies happen to these people? Some of us deal with the suffering and tragedy around us in our own lives by believing it’s not there at all, or at least it’s not as bad as it seems. “It could be worse.” Another solution to the problem is what’s called the “omelet” theory. Eggs have to be broken if you want to make an omelet. If we look far enough ahead we can see that evil contributes to God’s good, so it’s not really evil at all. Dovetailing with this theory is the idea that “God knows” and has a plan and our questioning is a lack of faith. “We can’t know the mind of God.” All of these responses, and others like them, are legitimate enough if they lead you into deeper relationship with “God” and create within you a deeper well of compassion for others. But your questions to me in these past six weeks tell me that these responses are not working for you. We can’t know the mind of “God.” True enough. But we can, and do, know why many natural disasters occur now: hurricanes, earthquakes, tornadoes, and floods. We even know why some humans act the way they do: from chemical imbalances and behavioral disorders, to stress and anger. We understand now that “God” didn’t create evil, natural disasters or human choices. But the “God” we’ve discovered thus far in our lives does seem to allow it. What kind of “God” is this? There must be something “in-between” the purely scientific understandings of behavior and events happening entirely in terms of “preceding causes,” that is “one thing, A, led to another, B, and the result was C” – something between the sociological and psychological explanations for events we offer and the traditional theological explanations that make “God” an absolute monarch, with power to enforce the divine will on us subjects. Neither one of these explanations functions any more for people of deep and curious faith. At least not for long. The first doesn’t allow for faith. And the second doesn’t allow faith to be much more than a passive acceptance of what is and what will be. 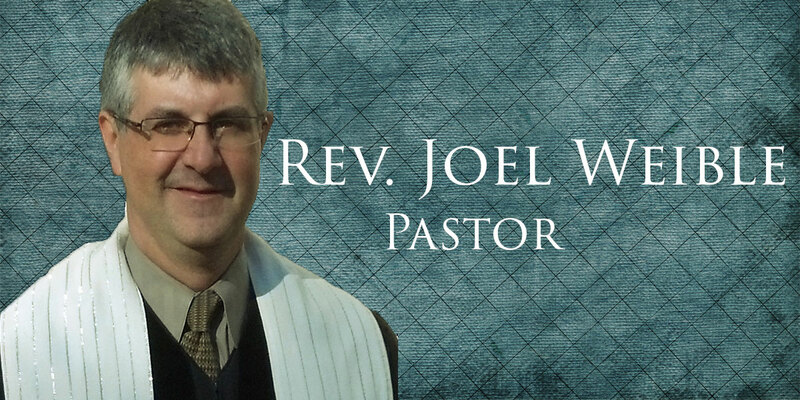 Our biblical witness includes the Book of Job, the prophetic witness, and Jesus himself all calling for our active participation in the way things are in order to transform the way things will be. Why is it that despite the injustices, moral absurdities, and pain we experience or witness almost daily, we continue to hold on to the notion of “God” as all-controlling, all-powerful, all-knowing, invulnerable, and unchanging? I’ll tell you why: Because our theological tradition has lifted out and stressed those biblical texts which suggest God’s control of events and ignored, largely, or interpreted away those biblical texts which reveal the vulnerability of “God,” the redemptive power of sacrificial love, and the community (for us the church, this congregation) as the embodiment of the healing, transforming response to all that is wrong in the world. We don’t know what to do with the Book of Job and the unanswerable question it asks that is the key to meaningful, active faith. We don’t know how to hear the prophet’s words that call us not only into God’s future, but into our own present obligations. And we don’t’ really know what to do with Jesus’ crucifixion and death. Our tradition has steadfastly refused to allow any element of limitation to enter into the doctrine, the teaching, of God. And so, “if God wanted to, God would do” is all we have. If we are to have the slightest chance of understanding, let alone answering, questions like the ones we’re exploring this month, we will have to reject the notion that God’s, our “God’s,” reality can have any meaning apart from a relationship with the world. We must affirm that our “God” is not only Creator and Redeemer, but that God is creating and redeeming – every moment of every day. Taking where we are, broken and fearful, and moving us toward healing and wholeness. What that means is that “God” is affected by our actions. What we do matters to God. God is vulnerable. God’s power is not coercive and controlling, but evocative and life-changing. God’s power comes not from any ability to destroy, but in every opportunity to transform. Our answer to this morning’s question, then, is best summed up in this response: Why do bad things happen to good people? Because they do. The faithful question then becomes: What are we going to do about it? That, it seems to me, is the eternal divine question and response. “God” takes every “bad thing” that happens to us – individually, as a community, in our country, or around the world – and presents imaginable, doable, possibilities that allow us to move forward, out of grief, out of tragedy, out of sorrow, and even death. Our faithful response must be to find and grasp those offerings, those possibilities, that lead us back to life. Why do suffering, pain, and death – a part of every human life – exist in “God’s good world?” Why do they come when they do? Why do some people suffer more than others? Why do some have more tragedy in their lives than anyone should have to bear? Why do “good” people who don’t deserve it sometimes suffer more than “bad” people do? Why the debilitating disease, the tragic accident, the death of a young person whose life is just beginning, or a child at any age? Why is a family deprived of support and care of a father or mother it desperately needs? Why must an older person have to suffer so long? Our answer to those questions, and to the larger reality of “evil” in any of its forms in the world, is not one of explanation, but of witness. The claim of our Christian faith is that in a particular place, in the life of a community of sisters and brothers in Christ, there is a way – a way of gathering, a way of worship, a way of being open toward others and to God, a way of listening, a way of seeing, a way of acting. We may not be able to stop the bad things that happen in our lives, but we can counter those “bad” things and get back on our feet again (Cooper, Burton. Why God? 124). There is a “we,” fallible and ambiguous as it is, that waits with each and every one of us when we suffer, when the answer to our “why” questions is a matter of life and death to us, a matter even of faith and unfaith. The we is this community, this congregation, this particular Body of Christ, and the thousands like it around the world. This is the biggest regret I feel for all the “nones” in the world, including those very close to me, who are leaving the church. Not the doctrines and rituals they miss, but the community that is lost, because “bad things happen” and we will need each other. In our scripture reading, Jesus responds by telling those who are listening to “repent.” Let us then repent … of an understanding of God that creates an even deeper problem than the existence of pain, suffering and evil. Let us repent of the expectation that God could do something and believe that God is doing something in and through the community called the Body of Christ and through each member of it. God is here. We are here for one another. May it be so for every one of us.